The weeks are rolling around so fast but it still feels like Twinkle&apos;s due date is a long way off yet. I am really starting to feel the physical limitations of being pregnant now, I&apos;m just getting so big, I feel heavy and slow and all the pregnancy niggles like swollen feet and heartburn have suddenly kicked in big style this week. I had a bit of a ridiculous hormonal low point at the weekend, but fortunately it didn&apos;t last long. My back is doing ok, I&apos;m not going to pretend it&apos;s fine but I&apos;m having good days and bad days and getting on alright. I managed to walk on the school run this week (school is at least a half an hour walk from our house and ﻿more like a forty minute walk at the moment!) although I did wonder how much longer I will be able to manage it! I&apos;m also getting really out of breath, which could just be because I&apos;m so unfit these days and have put on two stone already (yikes!) but could also mean I&apos;m a little anaemic. I have been trying to remember to take my pregnancy vitamins which have iron in which seems to help, though the effect could be entirely psychological, I&apos;m not sure! I see my midwife on Tuesday and I think I will have blood tests taken then so I guess that will answer the anaemia question. I haven&apos;t seemed to have any cravings up till now but this week for some reason I&apos;ve not been able to stop thinking about orange marmalade, which I do like usually but very rarely eat. I have (so far) managed to stop myself from eating it by the spoonful (would that be wrong??) and just had it on toast. I&apos;ve also been craving scones though I&apos;m not entirely sure that is pregnancy related, I always love them! Baby Twinkle is around 38cm which is apparently as big as a bunch of bananas or a camping lamp and weighs over 2lb (900g) this week. She should have her eyes open (although I&apos;m sure there&apos;s not much of a view) and is busy developing her brain. She is nice and active especially at night (I&apos;m a bit worried she&apos;s nocturnal actually!) and I love to watch my bump jumping around as her kicks are so strong now. Tinker talks about the baby all the time and is super excited which is lovely, she loves to feel her moving and kisses and cuddles my bump all the time, while Totsy is adamant there is a baby chick in my tummy!! It feels like we are not very organised yet for baby&apos;s arrival, we have nothing ready and need to get into the loft to see what we still have and if there is anything we need to buy but we have plenty of time still to go so I&apos;m not worried about it, it&apos;s quite nice to be relaxed about things and just know it will all be fine. 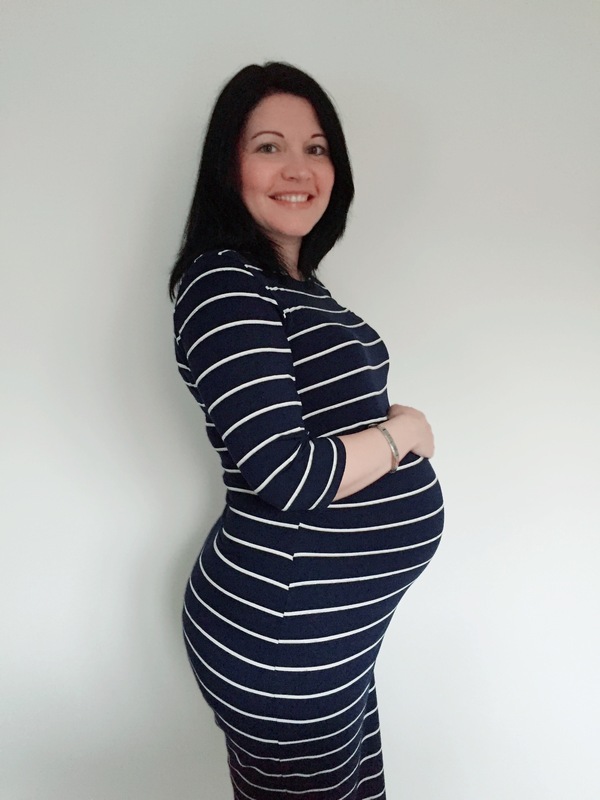 You can still catch up with my 26 week pregnancy update if you missed it last week. Tags: 27 weeks pregnant. Bookmark the permalink.